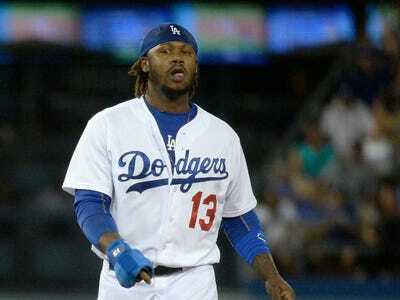 Harry How/GettyHanley Ramirez is finally willing to move away from shortstop. Free agent shortstop Hanley Ramirez is already one of the biggest names on the market this MLB offseason, but he’s using a simple message to improve his market and possibly his next contract. According to CBS’s Jon Heyman, Ramirez and his agent are telling potential suitors that Ramirez is willing to move away from shortstop for his next destination. Ramirez’s invitation to play a different position has been taken by interested teams to mean he’d even consider a corner outfield spot or perhaps even first base for desirable teams in winning situations, multiple executives with interest in Ramirez say. While many shortstops refuse to ever let go of that coveted position, Ramirez, 30, is being realistic about things with this approach. Ramirez led all shortstops last season in on-base percentage (.363) and slugging percentage (.447), while hitting .283 with 13 home runs. He had several strong years with the Los Angeles Dodgers after a sour ending to his career with the Miami Marlins. In 2011, Ramirez told the Marlins he didn’t want to move from shortstop to third base to make room for new signing Jose Reyes. In the summer of 2012, he was traded to the Dodgers where he resumed playing shortstop. It’s not uncommon for teams to ask older players to move away from shortstop, one of the most athletically demanding positions in baseball. Whether Ramirez is willing to actually change positions or whether it’s just a ploy is unclear. However, by signaling such a willingness, he not only expands his field of suitors, he could create a bidding war for his services from several teams who want the big-time hitter.